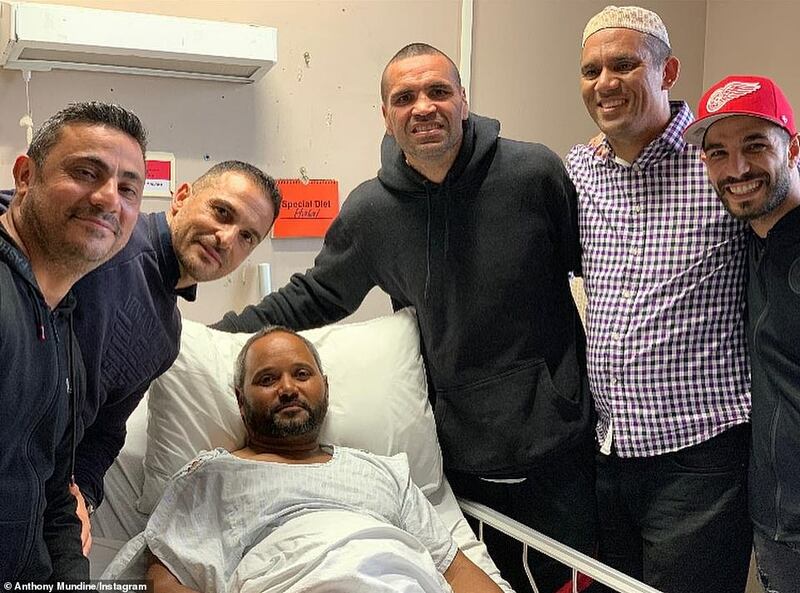 Australian boxer Anthony Mundine joined fellow Muslims in grieving and prayer at Hagley Park near Al Noor Mosque in Christchurch as the community continues to mourn last week’s devastating shooting. 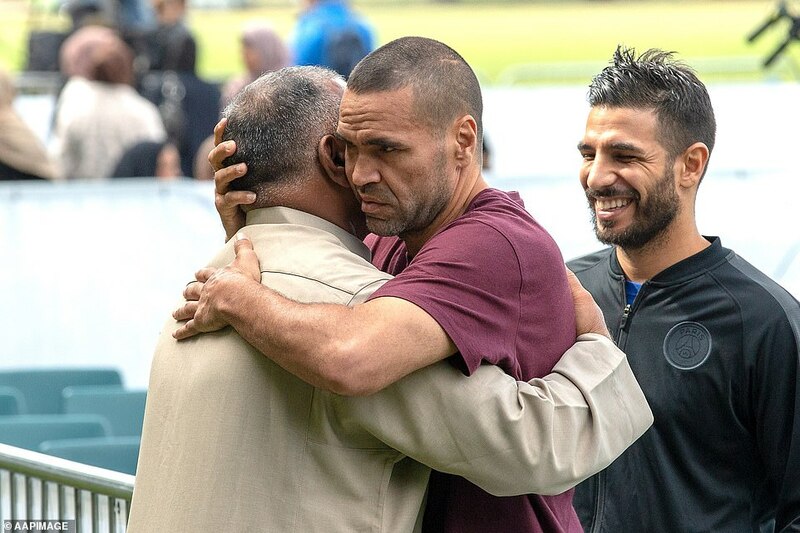 Heartbreaking photos show a grief-stricken Mundine hugging another man and praying opposite Al Noor Masjid on Friday, a week after 43 people were killed at the same mosque. 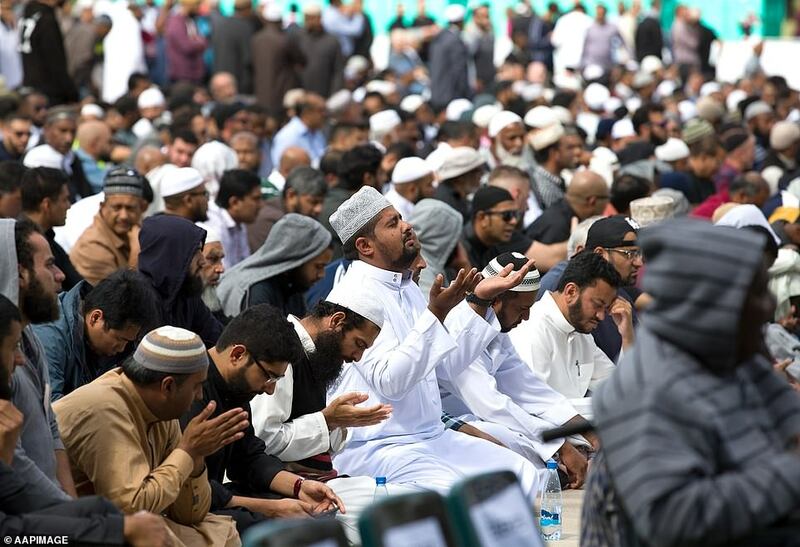 A gunman killed 50 worshipers at the Al Noor Masjid and Linwood Masjid and a 28-year-old Australian man, Brenton Tarrant, appeared in court last Saturday morning charged with murder. Mundine condemned the ‘horrific act of terrorism’ and expressed his support for victims in the aftermath of the shooting. ‘My heart goes out to the innocent victims of today’s tragedy. I am deeply saddened and disturbed by today’s horrific act of terrorism,’ he said in a Facebook post. 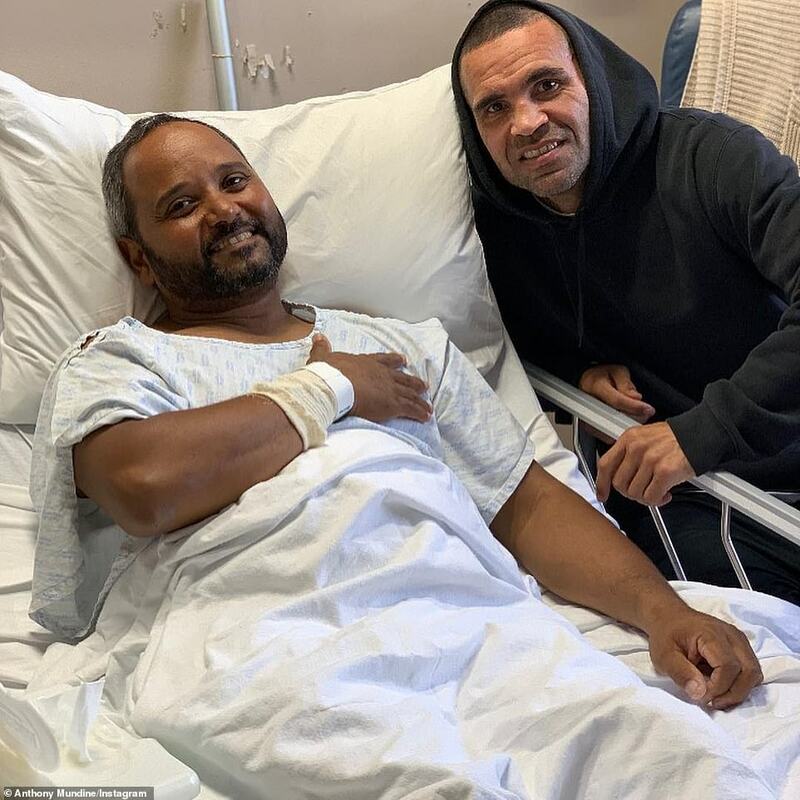 Mundine visited shooting survivors in hospital on Thursday before heading to Al Noor Mosque the next afternoon. 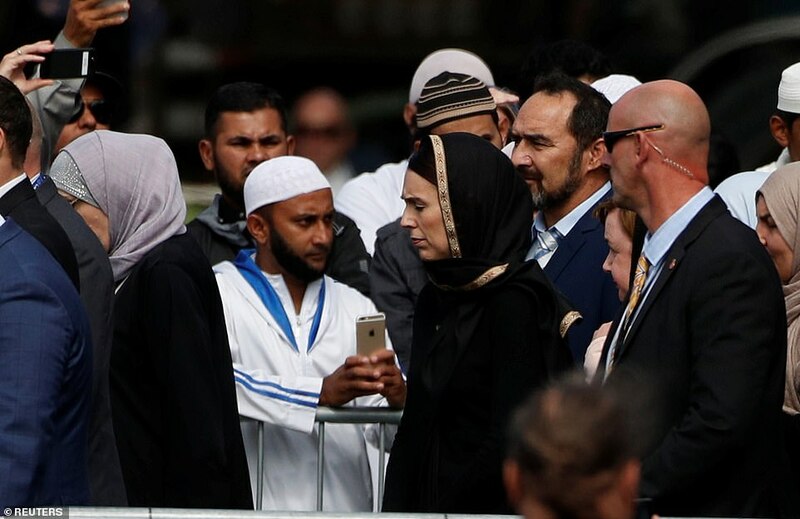 ‘I’m honoured to be visiting these beautiful brothers and sisters who survived the horrific atrocities in Christchurch,’ he said in a Facebook post. Hundreds of Muslims and non-Muslims gathered in the city’s Hagley Park opposite the Al Noor mosque where worshipers were gunned down. ‘New Zealand mourns with you, we are one,’ she said. Then Imam Gamal Fouda gave a moving speech in which he said the 50 victims were martyrs and their blood has ‘watered the seeds of hope’. 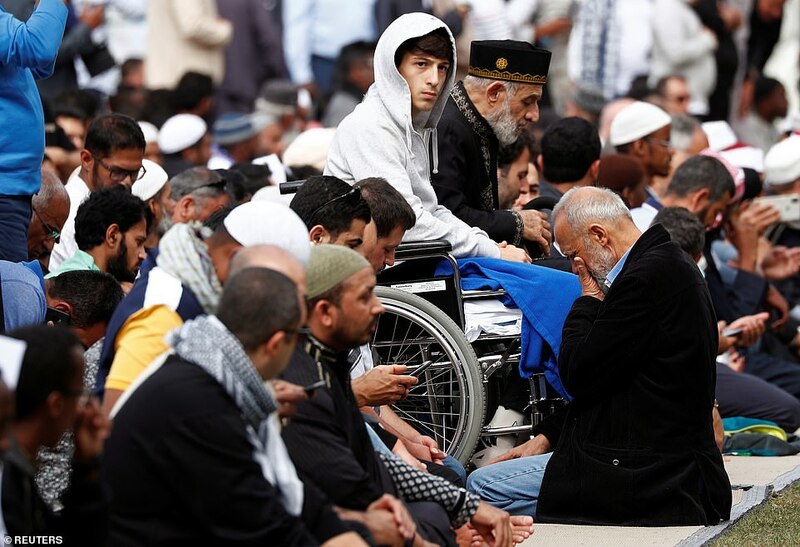 Zaed Moustafa – who was injured and lost his father and brother in the mosque attacks – was among those paying respects.